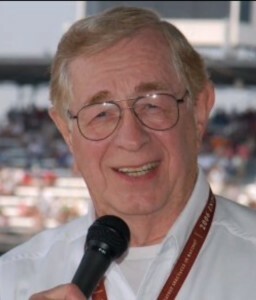 Bell studied sportscasting under Tom Carnegie at Butler University. He worked in sales, news, sports play-by-play and as a disc jockey at WSVL Shelbyville. He was hired at WIRE as a DJ and joined Sid Collins on the INDY 500 Radio Network in 1962. His career has included advertising, development and a variety of positions with other stations in Indianapolis, Louisville and Crawfordsville.